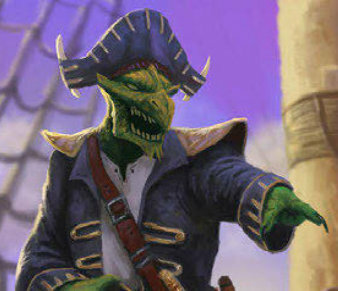 He is a harsh looking, rugged and yet well presented dragonkin gnarled by years at sea and commanding an heir of authority. He is always dressed in uniform, donning a hat and wielding a hefty-looking scimitar. Captain Gullnipper commands a speedy and well-built caravel with a competent crew. He barks orders at his crew and thinks nothing of shouting to any clients to get “off my deck and back in your cabins”. He is a devout worshipper of Seggotan, Lord of the Ocean and prays to him every day without fail. Although he works entirely for himself, it is thought he only part owns his ship and has a partnership with the House of Rothgazzi of Barsella. It is thought he may once have been a naval commander in the Mharoti navy but he does not speak of his past.